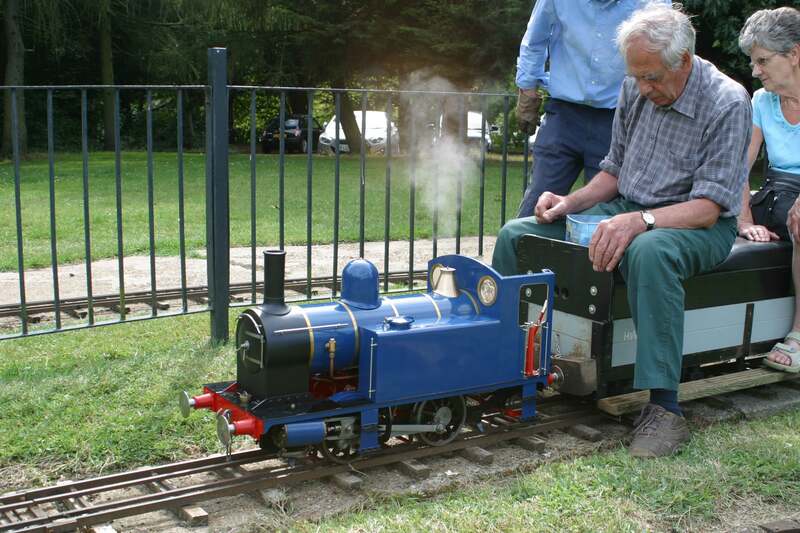 We are open for Public Train rides on Sunday Afternoons during British Summer Time (Sunday 31st March to Sunday 20th October) from around 14:30 to 17:00, weather and conditions permitting. There is a small charge of £1 for riding on the Trains, and the fare is the same for both children and adults. Very small children must be accompanied.